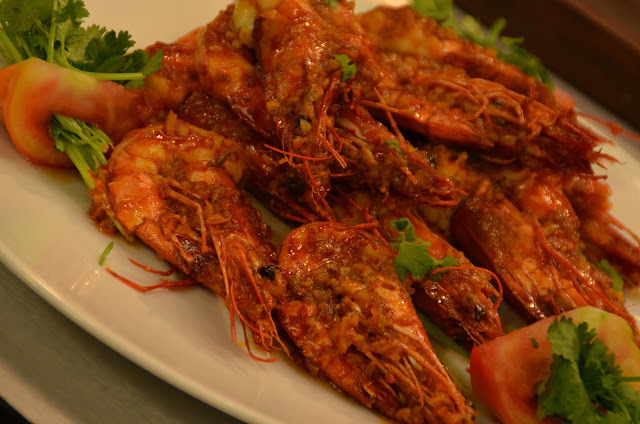 Magic Chili Garlic Prawns has the hotness that is as magical as it is memorable. Indeed, your friend's birthday will become doubly memorable with the divine deliciousness of this dish that tickles not just the palate but also the heart. Even if you are not partial to seafoods, this dish will undoubtedly delight you. 1. Heat butter and oil in a pan. Add garlic and leeks and saute until fragrant. 2. Add chili garlic sauce and prawns. Cook until prawns change color, about 5 minutes. 3. Season with MAGGI MAGIC SARAP and sugar. Cook for 3 minutes more. 4. Top with more leeks before serving.